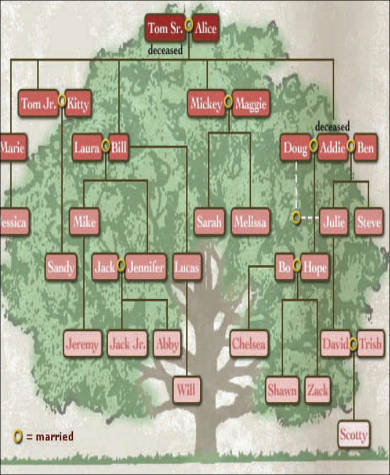 A family tree, or also called a genealogical tree, is either an illustration or a diagram that shows the relationship of people in the same bloodline. It depicts a family’s history in terms of its members from different generations. There are a lot of countries that give so much importance to close family ties. 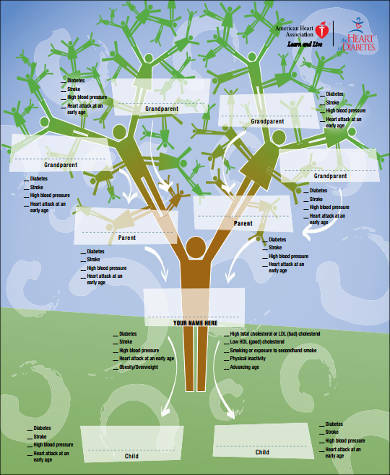 A family tree helps them in keeping these ties alive as new generations will be able to know their relatives and how they are related. 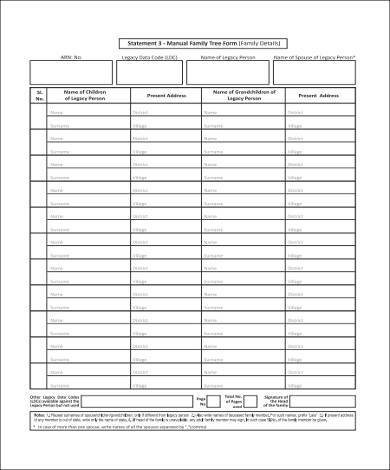 We have Family Tree Samples that you may take a look at. Class projects or assignments. 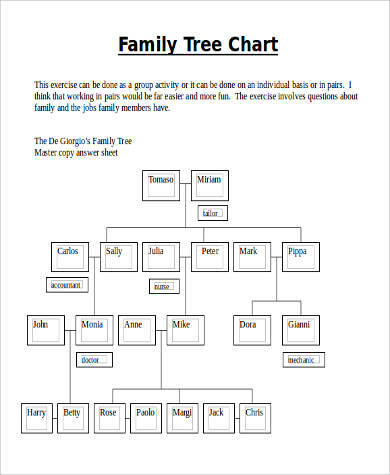 Especially during early education, students are required by their teachers to create a family tree and sometimes even show it in front of the class. Family reunions. When relatives get together once or a few times a year, there are people who do not know each other or even so have no idea that they are related. Parents wanting to teach their children about it. The best way to start making a family tree is when children already have the ability to recognize people and how they are related to them. 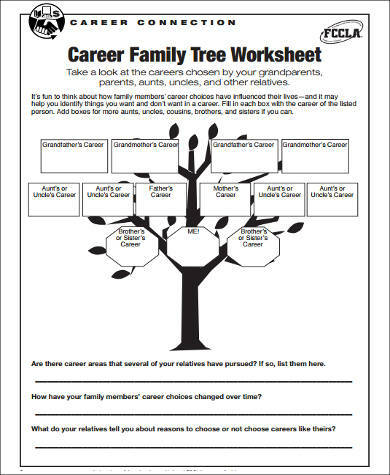 Parents can create a family tree to better explain to a child how he or she is related to a certain person. 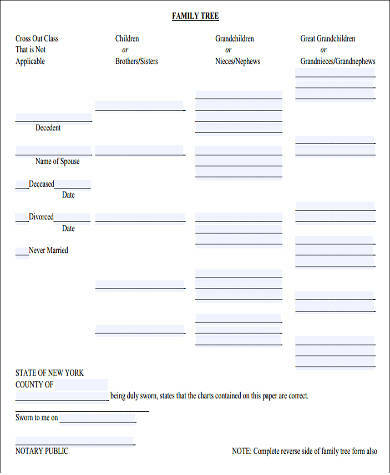 If you are going to present a family tree to your class, or having a family reunion and wanted to know how people there are related to you, or just to let your children know their relatives, we have Blank Family Tree Samples and 3 Generation Family Tree Samples that you may download so you can use them as examples. 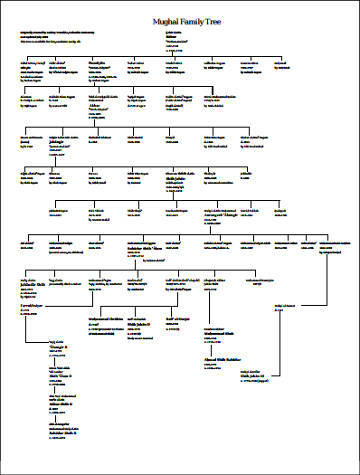 Whether it is a chart, a diagram, or a literal tree drawing, one thing that you should understand when creating a family tree is that it should be simple and shall show the links on how a family lineage flows through generations. Names of the people within the family. It may depend on you but it is suggested to have the names in full, even the middle initial, so that the viewers will easily know why sudden family name changes are made (usually because of a girl member of the family marrying). The relationship of each of the member to each other. The number of generations included in the family tree. 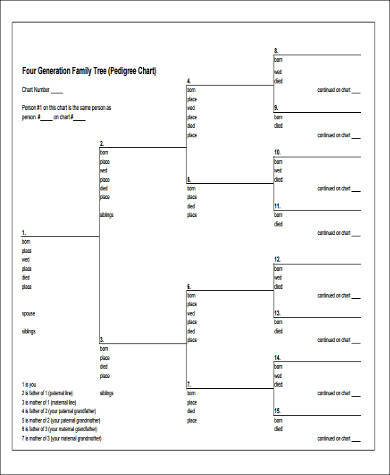 Proper labeling can only be done if there is already a set number of generations to be included in the family tree in the first place. The dates when a family member was born. The dates when a family member died. Be sure to put a mark on people who are already not living. Usually, there is a “deceased” mark at the bottom of the name of the person. 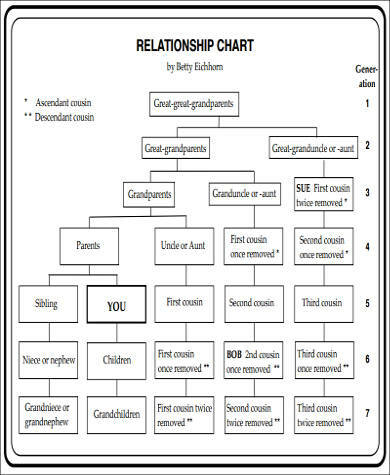 Remember that a family tree will help you to know your relatives. This can result to better connections with them. 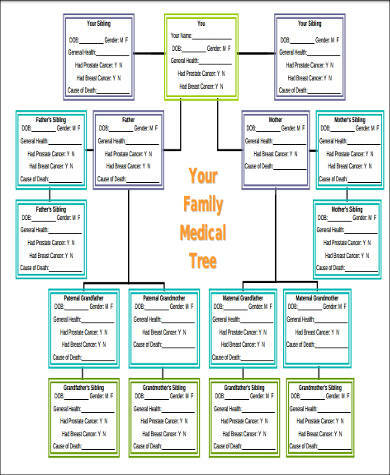 Be sure to know who you are related with by using our Family Tree Chart Samples so you can also make yours.